The Raglan Surf Academy is the only surf programme of its kind in New Zealand, offering elite coaching and training to talented young surfers. The Academy is part of Raglan Area School and is a component of the non-profit sport sector in New Zealand. Deane Hishon founded the Academy in 1998 after he noticed there were many talented surfers leaving school to pursue their dreams of becoming professional in their sport. Deane knew that many of these students were school leaders and that it would benefit the school and the community if they stayed enrolled. Through introducing surfing as a physical education subject in 1998, Deane observed that these students began to achieve higher academically. A few years later, once the Academy was firmly established, surfers were staying in school and the Academy was producing key role model students, including a school head boy and girl. The Academy positions are limited to 16-22 students per year in years 11, 12 and 13. The surf academy course is offered as a subject to students who are in attendance at Raglan Area School. Entry into the Academy is unrestricted geographically. That is, any student from around NZ or internationally, may be given the opportunity to take the course and homestay accommodation arrangements can be made. The course is restricted to highly motivated students with a high level of competence in surfing, who have a strong desire to succeed at surfing and schoolwork. To provide professional coaching to enable students to achieve the highest level of competitive surfing as possible. To increase the students level of fitness and develop their physical ability to reach peak performance. For the students to successfully achieve their NCEA school qualifications to their highest ability. Deane and Larry’s passion for surfing is reflected through their coaching practices with the Academy producing many talented surfers and community role models. Deane is originally from the Bay of Plenty. His father was in the ‘Point Board Riders’ in the 60’s and as soon as Deane could he moved to Raglan. Deane was drawn to the great waves and he succeeded in getting a job at Raglan Area School in 1997. 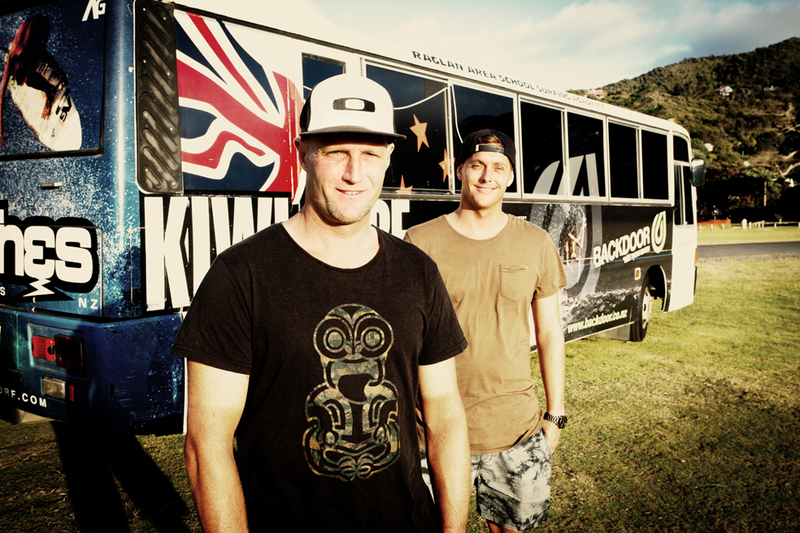 Deane saw a real need for professional surf coaching for young aspiring surfers in the community and he was the main driving force in establishing the Surf Academy at Raglan Area School. The Academy was set up and trialled in 1998 and the rest is history with the programme and success of the students going from strength to strength. 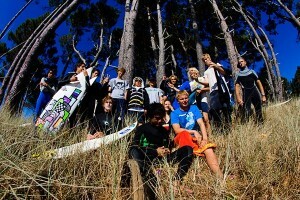 The Surf Academy coaches and the School Principal are responsible for the selection of students who enter the course. There is a high expectation academically with the NCEA programme offered, where students will be enrolled in 5 NCEA subjects. If you would like to apply, download our information and application pack accessed via the link on the right. Details of a Sporting Referee. The interview panel will consider the documentation received with the Surfing Academy Application form and the two referees listed will be contacted. Successful applicants will then be interviewed by Surf Academy staff (the Principal may also be present). During the actual interview. Successful applicants are advised and then are to sign the Surfing Academy Enrolment Agreement which stipulates that the enrolment is for Term One only with a meeting to review progress in April of that academic year. Download a copy of the current Surf Academy Prospectus. Download a copy of the current Surf Academy Application Form. Emergency Fund – $200.00 – Refunded at the completion of the course. Boarding fees are levied separately as agreed between the host family, supervisor and parents and are not administered by the school. The full year’s fees will be charged within the first term of the school year. Pupils will find that there are additional charges for materials and related expenses for individual subject areas. These will be outlined within the stationery accounts which are issued in the first week of the new school year. Further charges may also be levied where students choose to go on special trips or when students travel to various surf competitions. Students sitting external examinations, Unit Standards or other tests (e.g. Drivers Licence) will also need to meet the associated fees. A deposit of $112.50 (GST inclusive) will be charged at enrolment. This will be credited against student’s final account when they leave. This deposit is non-refundable in the event that your son/daughter does not start with the academy following your acceptance of a place.